Towards the end of 2016, the trust was on the receiving end of two very generous donations. 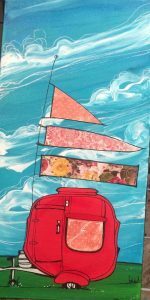 Brenda Cash, Artist, held an exhibition at White Sail Gallery, with all proceeds from her works being donated to the trust. The Exhibition was sponsored by Shelley Voullaire and Colin Clarke of Craigs Investment Partners, New Plymouth. Thanks to their generosity a total of $2053 was donated to the trust. The New Plymouth Classic Motor Cycle Club donated $2700 from their Classic Motor Cycle show earlier in the year. 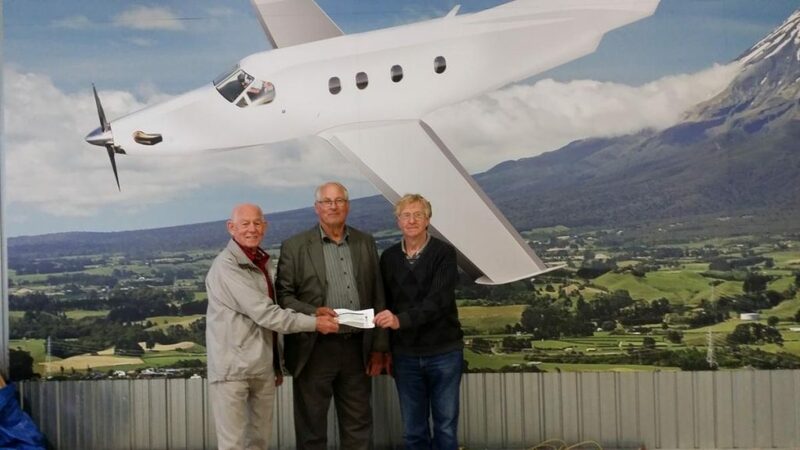 Bruce Findlay (Centre) accepting a cheque from Barry Styles (L) and Errol Gill (R) from the Classic Motor Cycle Club at our Hangar. An example of Brenda Cash’s art from the exhibition. Copyright 2018 Taranaki Air Ambulance Trust. Website by Moxwai.